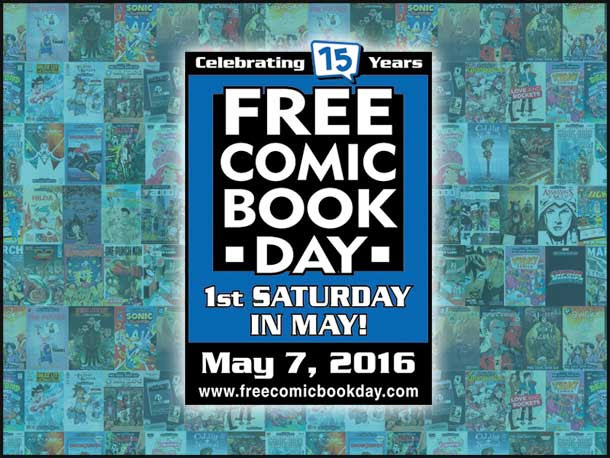 Free Comic Book Day 2016 marks its 15 year anniversary and we can't wait to celebrate! It's that time again for some free comic books! This year's batch is another grand slam. A great selection of all-ages books from Sonic to Legend of Korra to DC Super Hero Girls, so many to choose from including samplers. Marvel and DC Comics are represented but it's the indies coming through from Archie, BOOM Studios!, Action Lab, Valiant, and a rare Love and Rockets Sampler. Free Comic Book Day is this Saturday, don't miss it!